It’s the stuff of dreams: Young Italian student Eleonora Lucamarini visits Australia, is enamoured by Melbourne, enrols for a civil engineering course and is adjudged the most outstanding student. In 2013, Eleonora Lucamarini embarked on a journey from Italy to Australia with no idea that a trip overseas would change the course of her career. She and her partner were off to the other side of the world to visit a friend and travel the Pacific. But when she arrived in Melbourne, plans for travel gave way to plans to stay, as she fell for the city, its people and its opportunity. An industrial designer by trade, she saw beauty in the lines of high-rise buildings and the bridges along the Yarra. It was in stark contrast to the static construction industry of her native country. Here, Lucamarini saw a dynamic building culture that encouraged something better, something different – something she wanted to be a part of. In 2015, Lucamarini enrolled in Melbourne Polytechnic’s Advanced Diploma of Civil Engineering Technology, where she was recently rewarded for her passionate pursuit of a new career with an award from the Civil Contractors Federation (CCF) Victorian division for Most Outstanding Student in the Diploma of Civil Engineering 2015. Lucamarini excelled at computer modelling from the beginning, matriculating from the European Institute of Design in Rome in 2009. She took her skills home to Civitanova Marche, in central Italy on the Adriatic Sea, where she worked at the Tecnomarche Science and Technology Research Centre until 2013. Her digital experience brought her into contact with some of the biggest Italian fashion companies, working with platforms for 3D design and virtual prototyping of products; co-ordinating virtual reality stereoscopic walkthroughs of historical buildings; and applying real-time rendering for furniture and shoes in digital 3D product catalogues. While civil engineering appears to be a far cry from her previous practice, there were strong ties to her design experience that would help accelerate Lucamarini in her new career. “The approach when you design something is similar to engineering. You find a problem and you try to find a solution,” Lucamarini said. 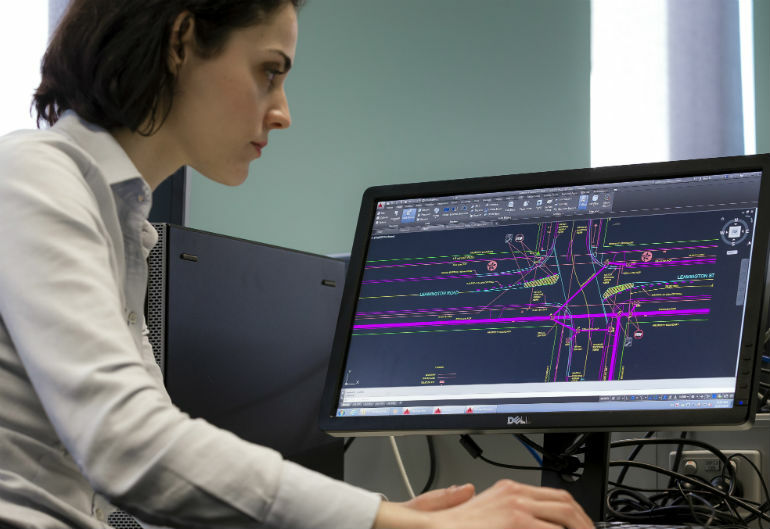 Melbourne Polytechnic program lead for civil engineering Robert Presutti said career changers like Lucamarini, and others who approach degrees after 21 years of age, are often quite driven. “A good percentage of the students in our program are people who have worked or travelled a bit and have come back,” Presutti said. Not only did she take on the course with the expectation of being one of the older students, but she did it in a second language in an unfamiliar culture. “At first the language in class was very technical, and I struggled with that because you need to know the names. You can’t escape it,” Lucamarini recalled. “And the culture, especially the sense of humour, was very different,” she said. It’s an attitude that her teachers praise. “She’s contentious, always probing to ask questions, always offering assistance to classmates and motivating them through problem-solving exercises,” Presutti said. Only in its third year, the CCF is pushing for more recognition for students and training programs that create the future of the building industry. Lucamarini was one of 12 recipients at the April awards dinner for excellence in 2015, which also recognised interns, employers, apprentices and women in the Victorian construction industry. CCF Careers Adviser (Vic) Faye Doherty says the federation wants to encourage people to keep developing their qualifications, and that’s why it recognises the award for Most Outstanding Student in the Diploma of Civil Engineering. Lucamarini says when her name was announced she was very surprised and overwhelmingly happy. 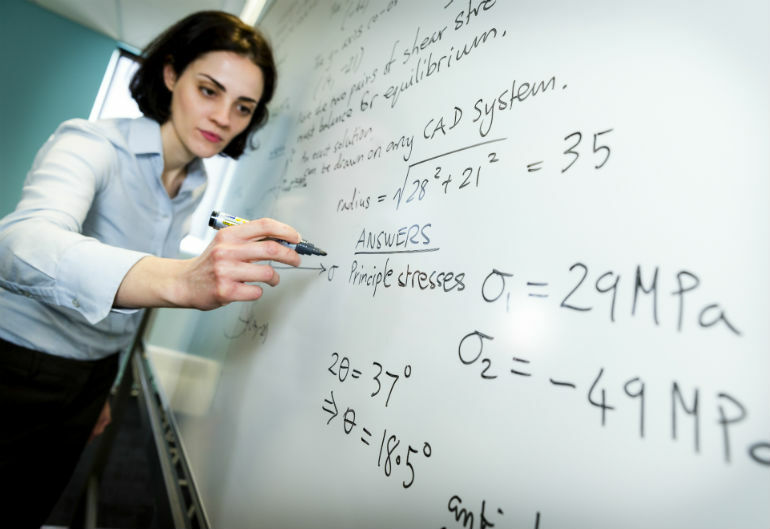 Lucamarini is scheduled to complete her degree at the end of 2016, and she hopes to move directly into her new profession in Melbourne, with aspirations to coordinate with engineering teams. Outsourcing’s reputation is rising thanks to skill shortages. What’s the benefit?